There’s a lot to learn every day in the world of technology, especially with the ever-increasing amount of high-profile cyber breaches and criminal hacks. It seems every news article brings a new security scare, and businesses should be more alert than ever before. Want to know what threats are out there? Read on for an overview of recent security breaches, and find out what your organization can learn from them. Surely by now you’ve heard of WannaCry, one of the world’s most recent and destructive widespread pieces of malware that swept the nation this past May. According to cyber security firm Avast, the WannaCry destruction included at least 75,000 ransomware attacks in 99 countries, making it one of the broadest and most damaging cyberattacks in history. What WannaCry taught us is the sheer spread and rate at which these malicious attacks can spread. Enterprises of all sizes around the world should prepare themselves by reinforcing security strategies and closing up vulnerabilities. For Mac users, this next threat to be aware of is the second most widespread Mac malware. Having made a comeback in activity in the past couple of months, DevilRobber was first spotted in 2011; it also goes by Miner-D and OSX.Coinbitminer. When it first came about, it was so damaging that Apple had to release emergency Mac updates to limit the spread of the malware and attempt to protect affected users. Unfortunately, DevilRobber is back. Latest reports show this malware is gaining speed; DevilRobber took up 2.4 percent of Mac malware detections in May, but grew in June to 21.6 percent of all detections, ranking second on Symantec's list of most active Mac malware. To combat malware, read the advice in this blog post. Malware isn’t the only threat your enterprise should be aware of. Symantec’s June Intelligence Report noted a huge spike in global spam levels. According to the report, spam emails accounted for 54.3 percent of global internet email volume, which was the highest level since November 2016. Since cybercriminals are taking a stronger approach to creative and deeply penetrative attacks, it’s crucial for IT to preemptively protect against incoming threats. Always run security updates, hold regular team-wide trainings, avoid phishing attacks and never open unsolicited email attachments. For a full list, click here. 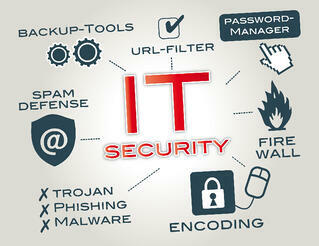 Want to protect your enterprise from the deluge of threats? Contact your team at WEI today for a personalized overview of your enterprise security. 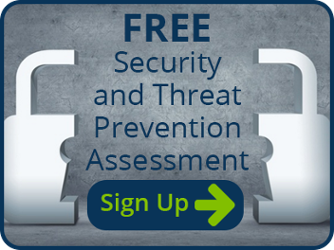 Also, make sure you take advantage of our free security and threat prevention assessment to determine your best data protection methods.